Recorded with the Yerevan State Chamber Choir in his native Armenia, Luys i Luso is an extraordinarily spiritual album that has a humbling majesty and stillness to it. The title meaning, in English, ‘light from light’, explores Armenian sacred music, the pianist loosely improvising around Armenian modes as he and the chamber choir interpret newly arranged Armenian hymns, sharakans (chants) and cantos some dating back to the 5th century by among others Grigor Narekatsi, Nerses Shnorhali, Mesrop Mashtots, Mkhitar Ayrivanetsi, Grigor Pahlavuni and Komitas mainly written in grabar, the oldest form of the Armenian language. A different mindset is needed as a listener away from fixed styles and comfort zones. 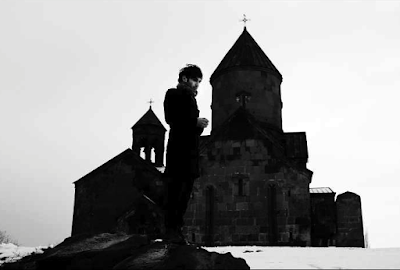 On the metrically complex ‘Ov Zarmanali’ Tigran breathes wind into some improvisatory runs to break loose a little more than the otherwise tight structures allow. Later there’s a surge of power and inspiration the choir responding to Tigran’s sudden freedom on Mashtots piece ‘Voghormea indz Astvats’ a fasting canticle and plea for divine mercy. Christchurch Cathedral, Dublin (17 Oct).